An out of town recommendation leads to a wonderful experience for all! We loved working with the Links. And we were able to sell their home in JUST 4 DAYS. 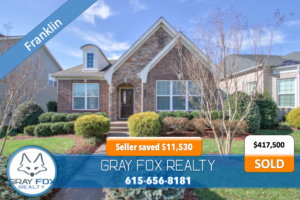 As Linda Link says in the testimonial video, “We love Gray Fox Realty and we would use them again!” Thanks, Linda! And we can’t wait to work with you again!